i love sacred geometry! pretty picture and poetic words. i'll have to hurry over to flickr to take a look at the rest of the collection. linked from soulemama. the lady talks about the sacred spiral. it is everywhere!!!! love it. Incredible picture. 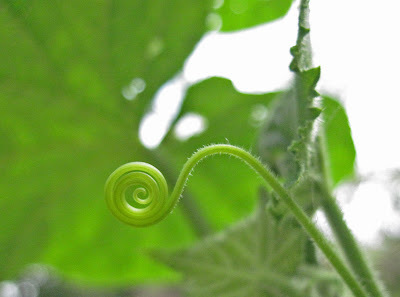 And it's funny, because i probably have that same thing unfurling in my garden right now...i just never noticed. Oh! My heart just leapt. I love the geometry of the natural world! Beautiful!! beautiful words, beautiful photo. thank you for visiting my site, and for your comment on my mini books. I appreciate you taking the time to leave a comment here. I love reading each and every one. If you have a question be sure to leave an email address as that seems to be the most efficient way to follow up with an answer. Please ask me before using any of my written content or photographs. Thank you!